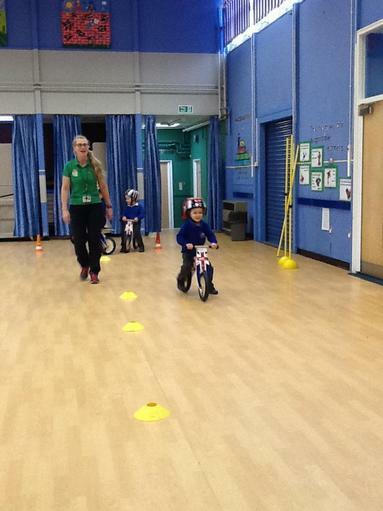 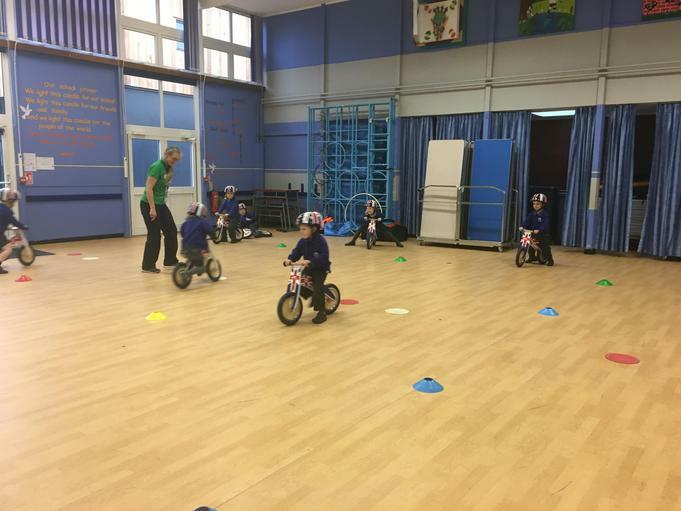 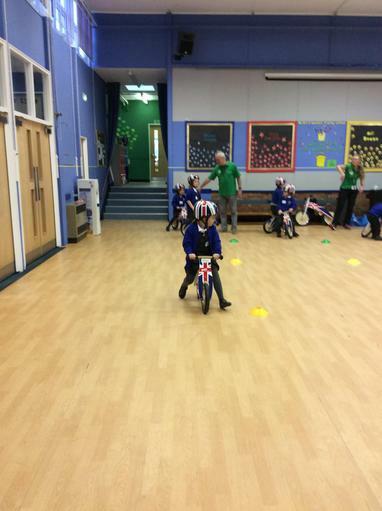 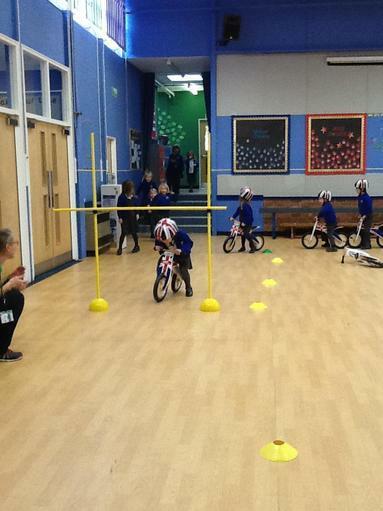 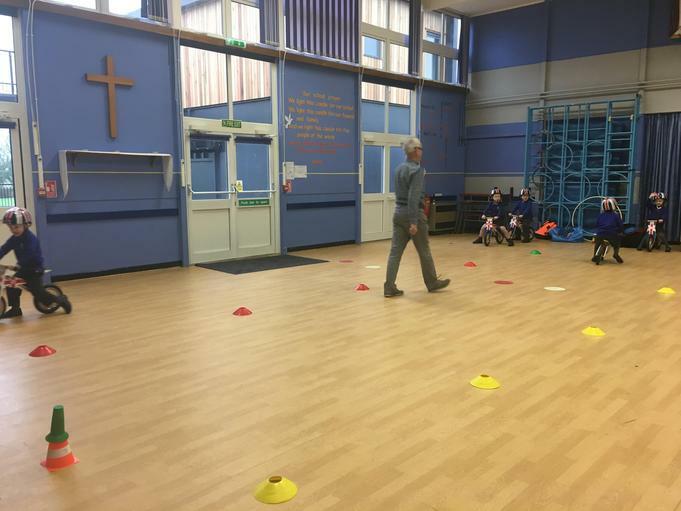 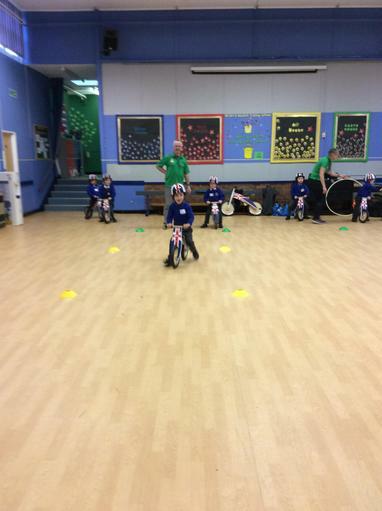 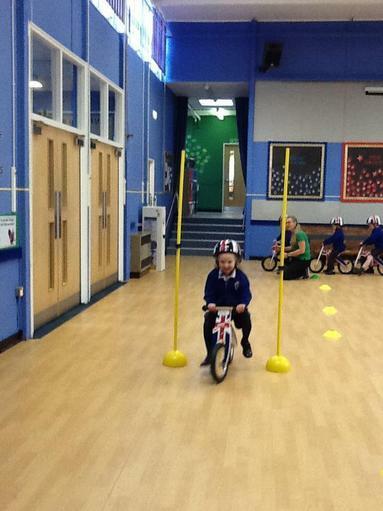 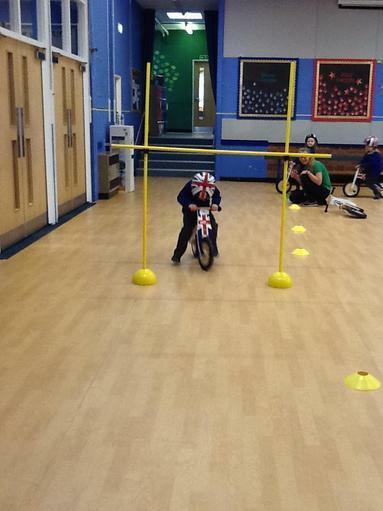 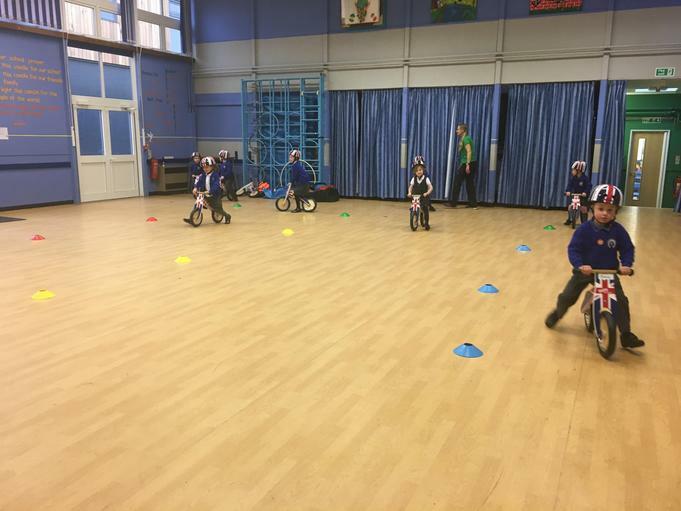 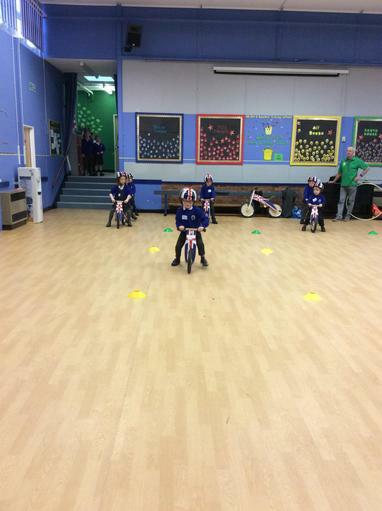 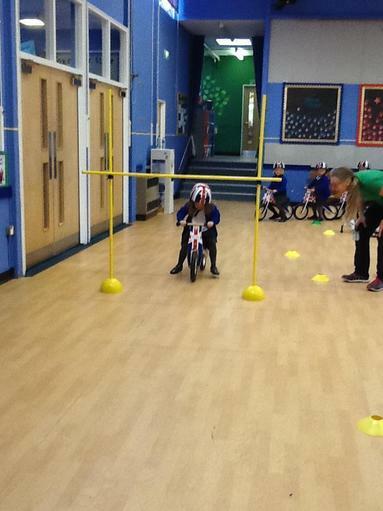 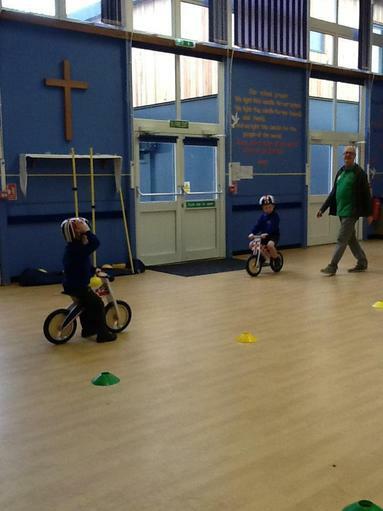 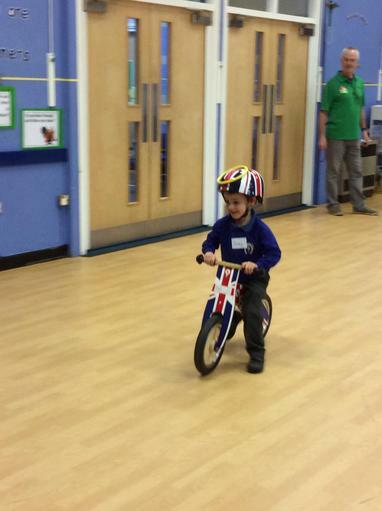 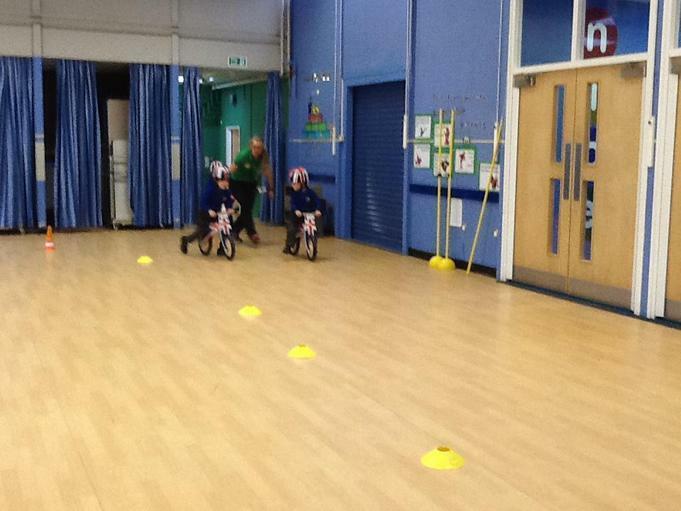 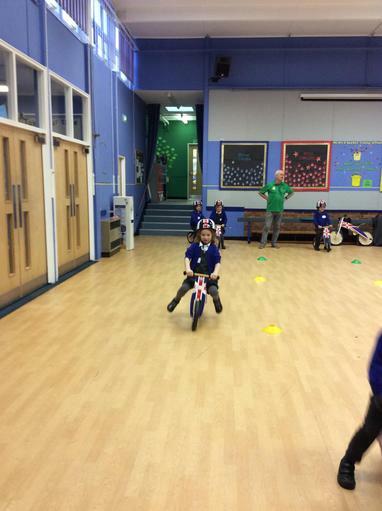 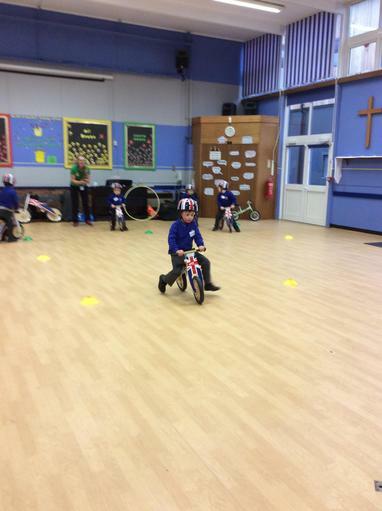 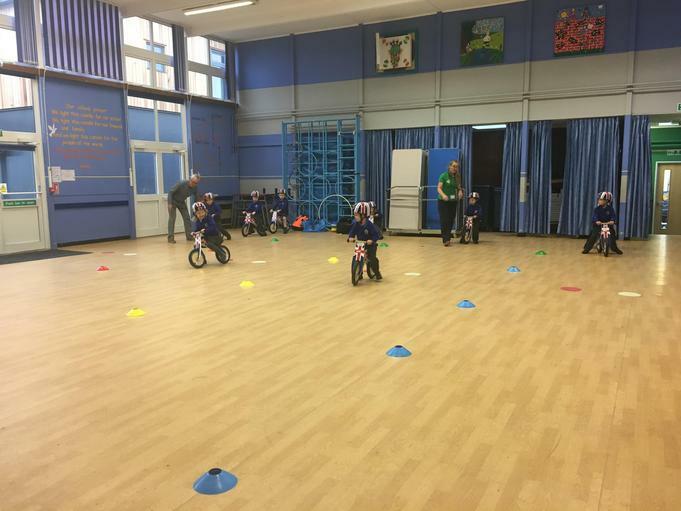 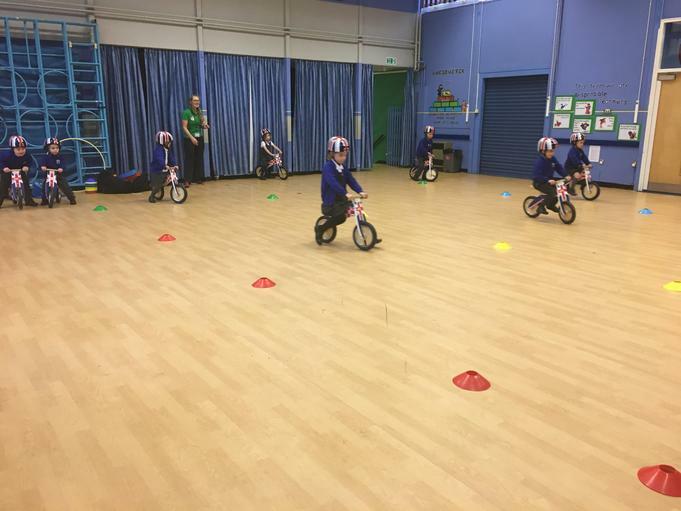 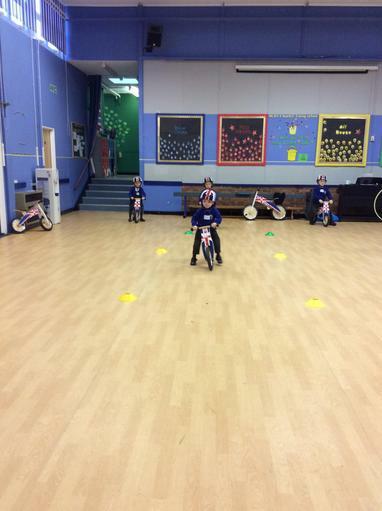 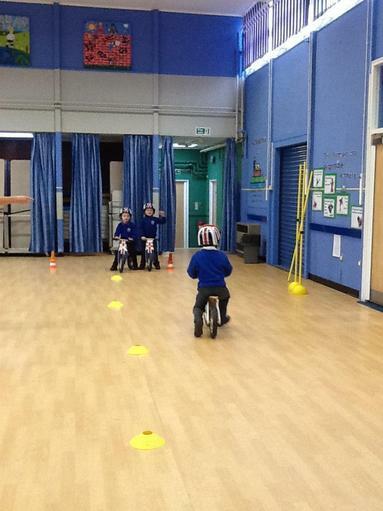 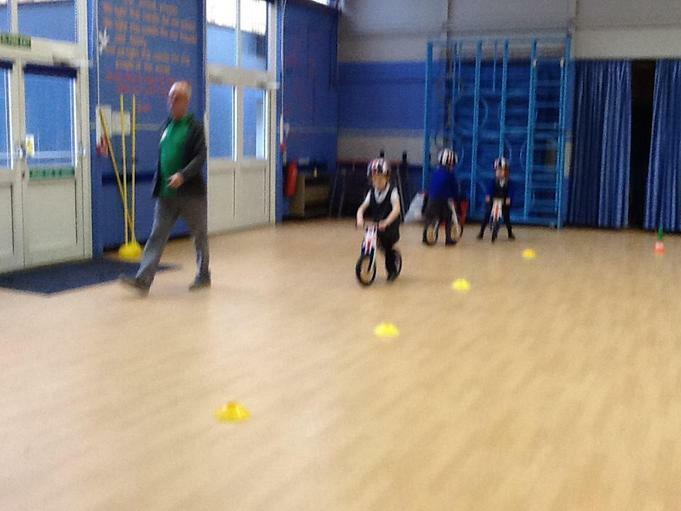 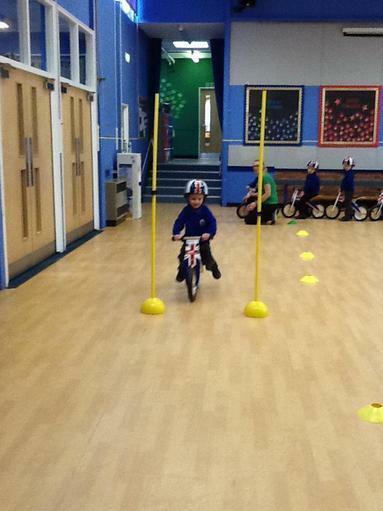 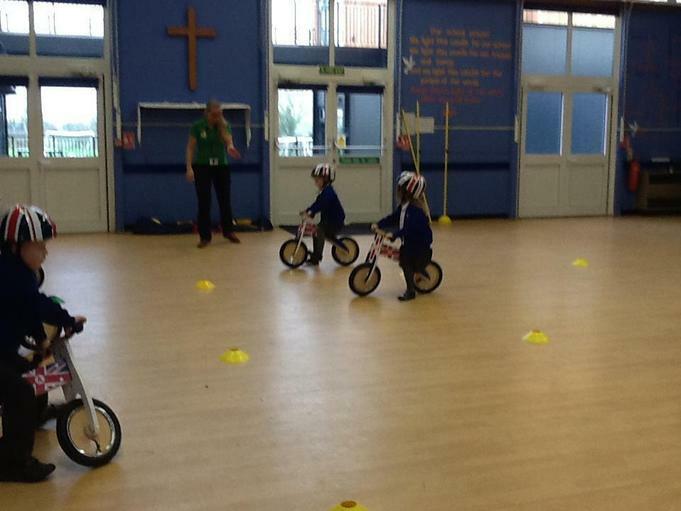 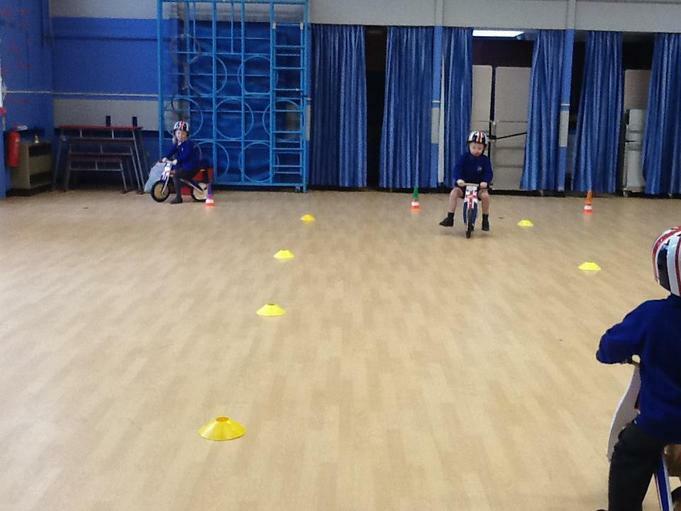 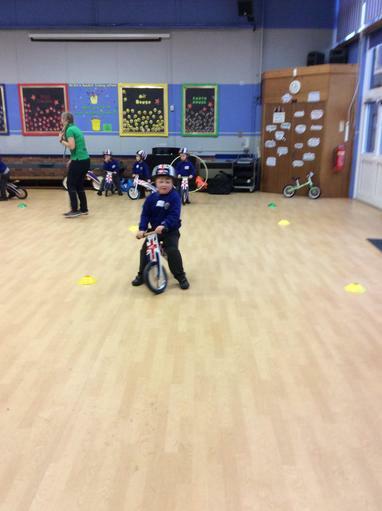 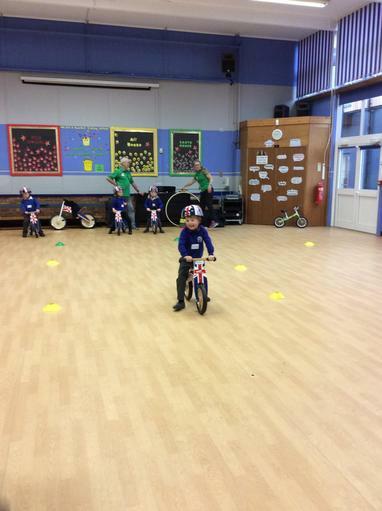 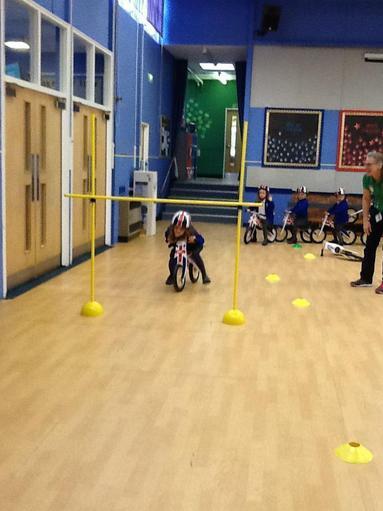 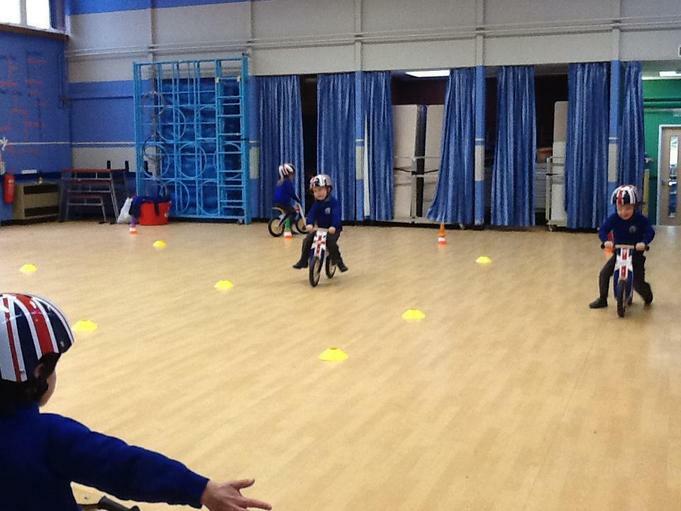 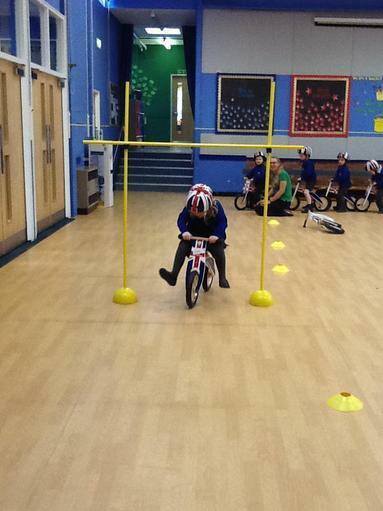 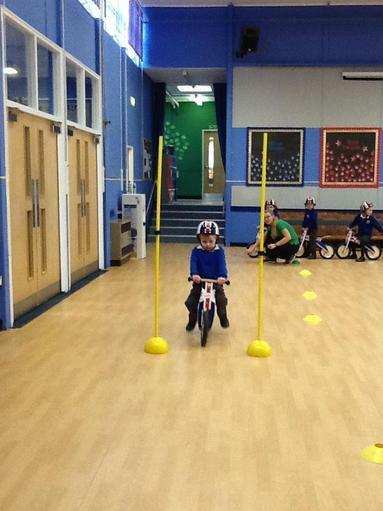 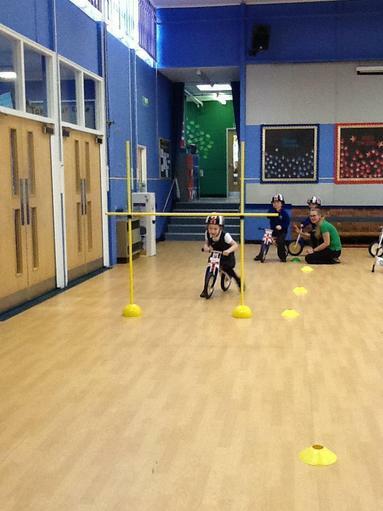 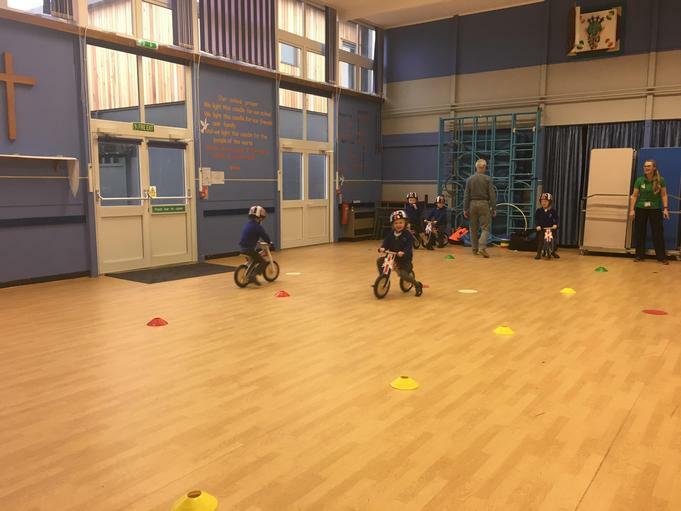 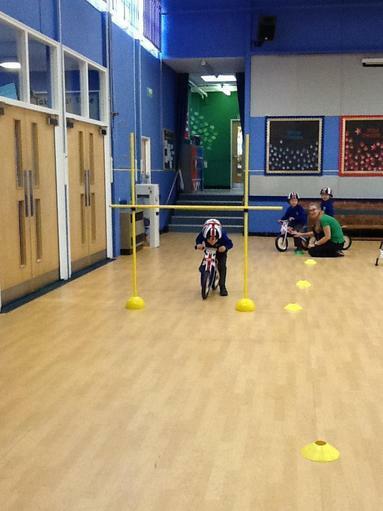 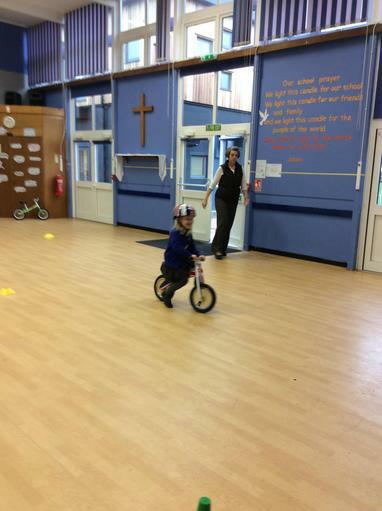 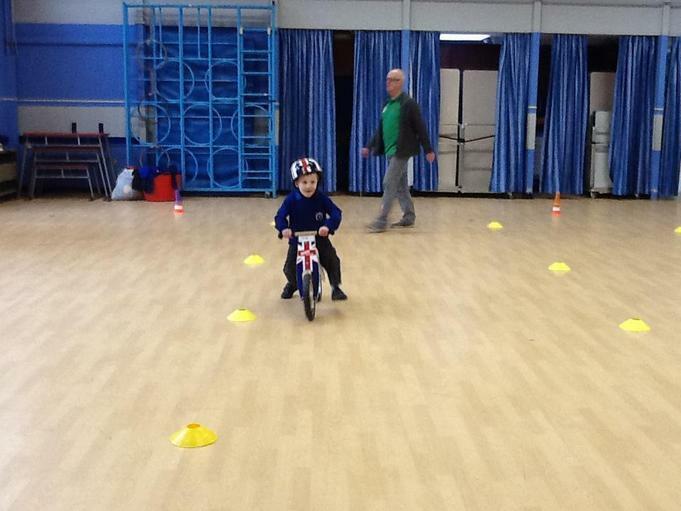 We are very pleased to have secured three Bikeability Balance sessions provided by RCC and the children been taking part for Monday afternoon in weeks 2,3 and 4 of this term. 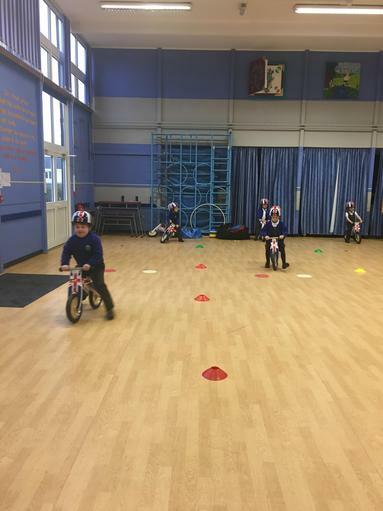 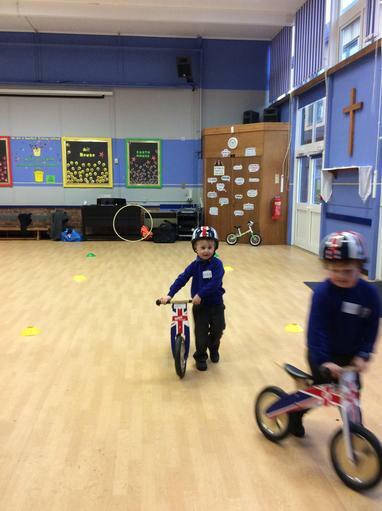 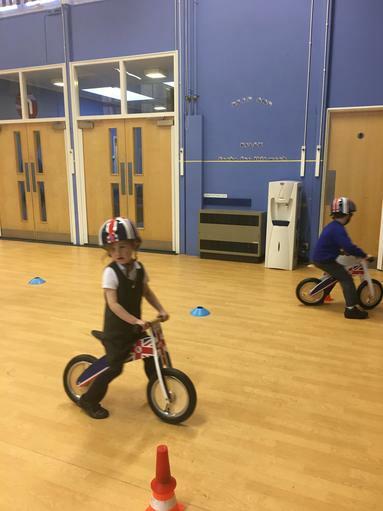 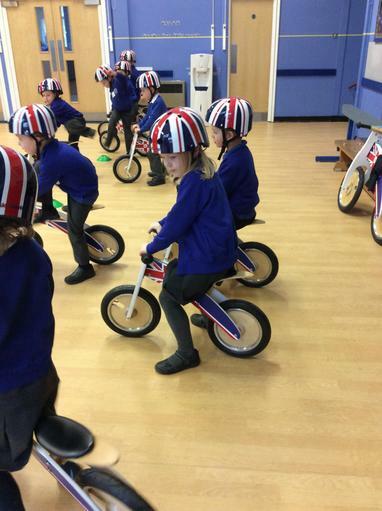 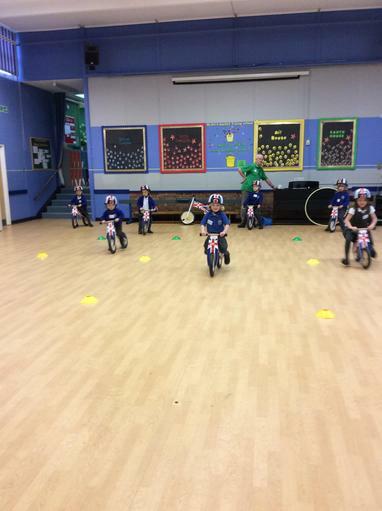 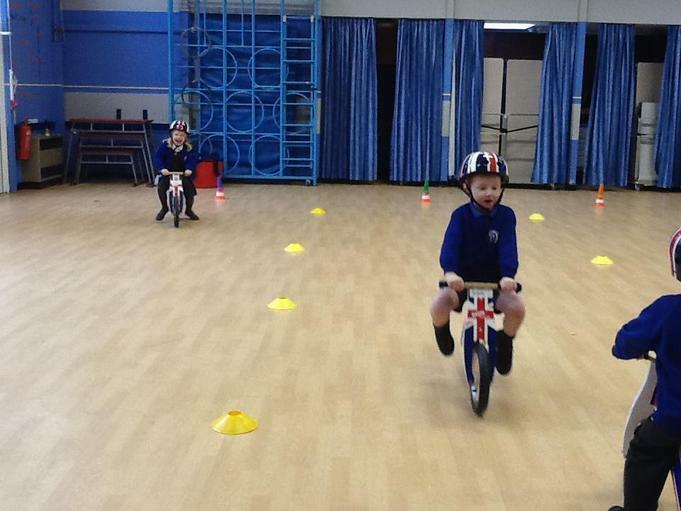 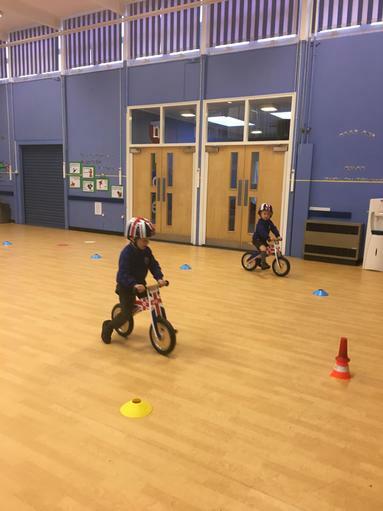 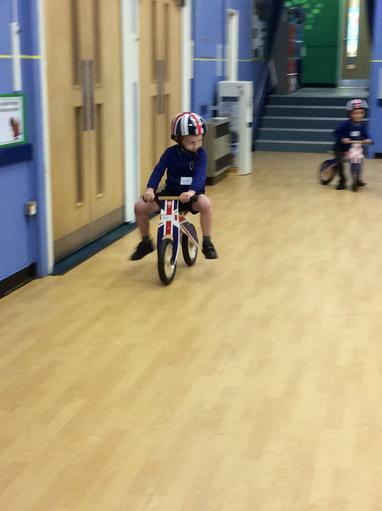 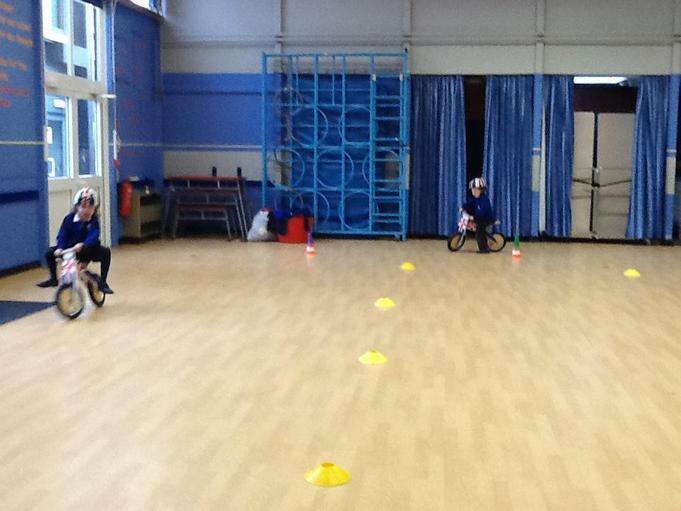 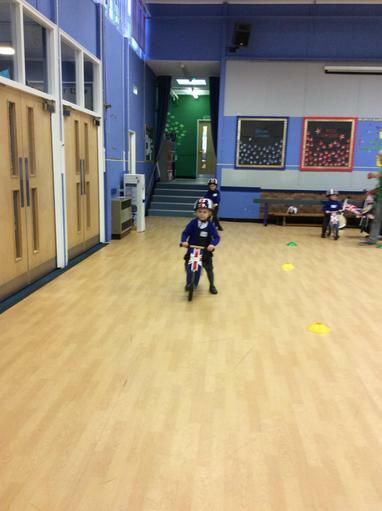 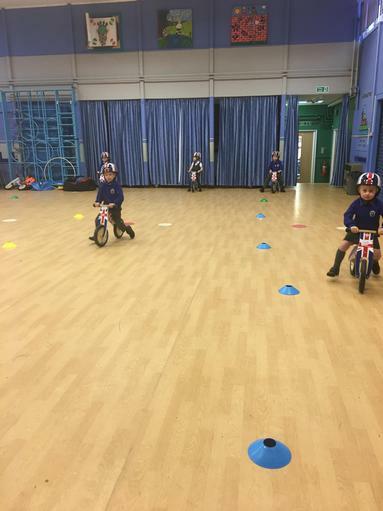 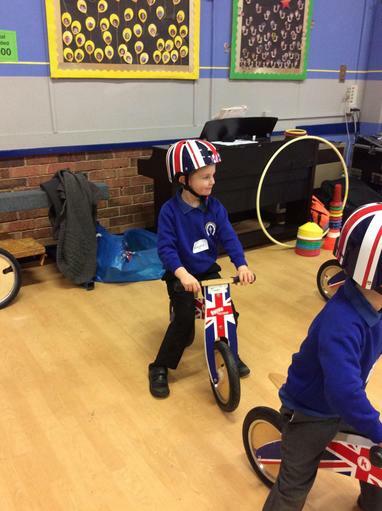 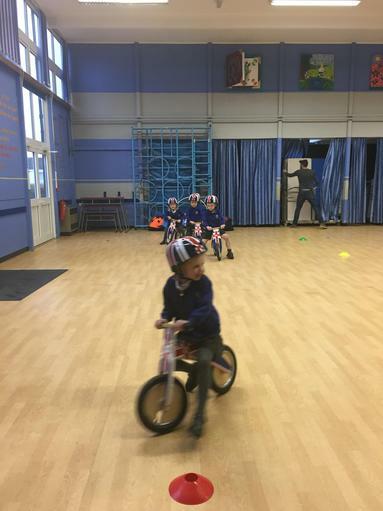 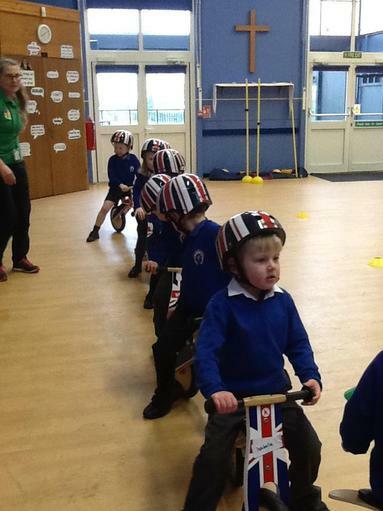 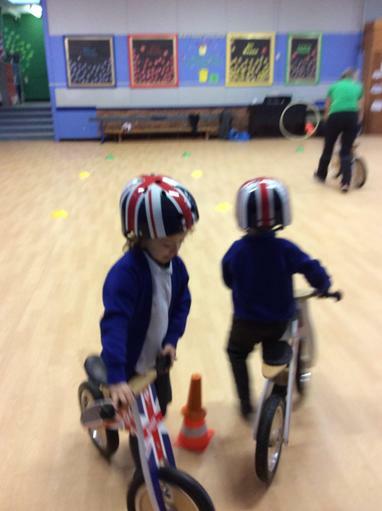 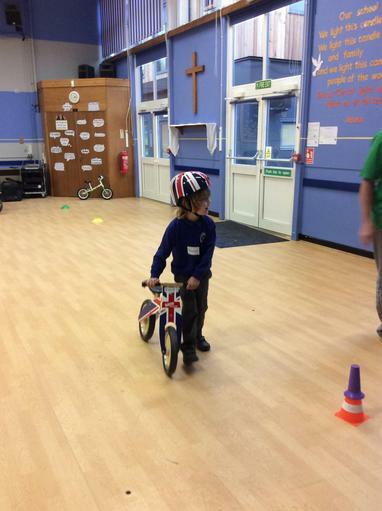 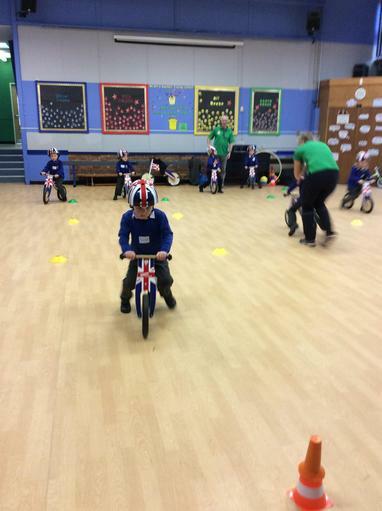 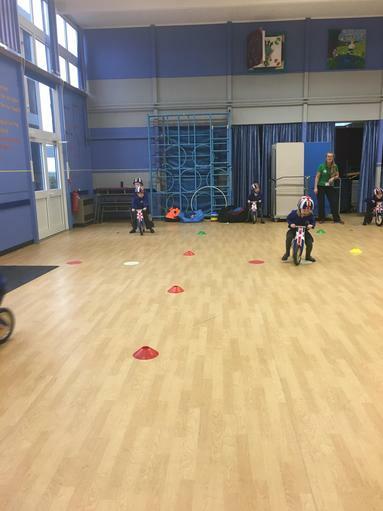 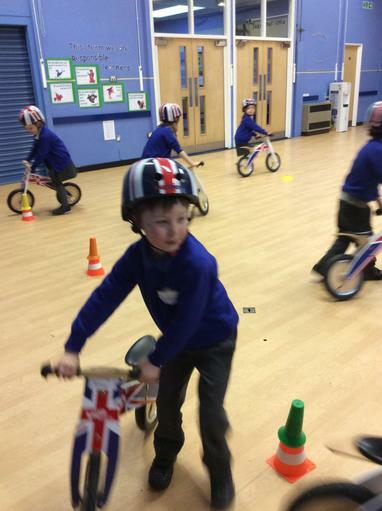 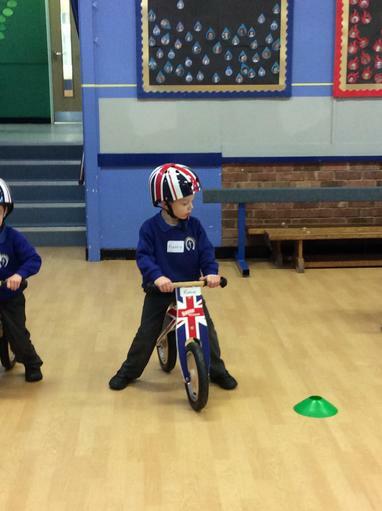 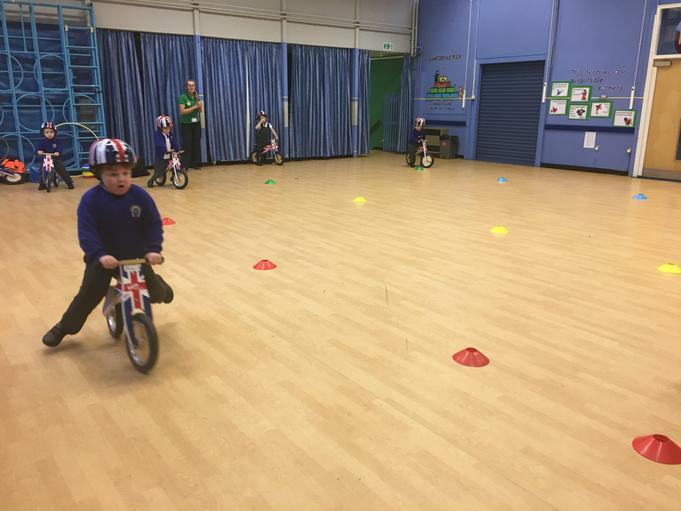 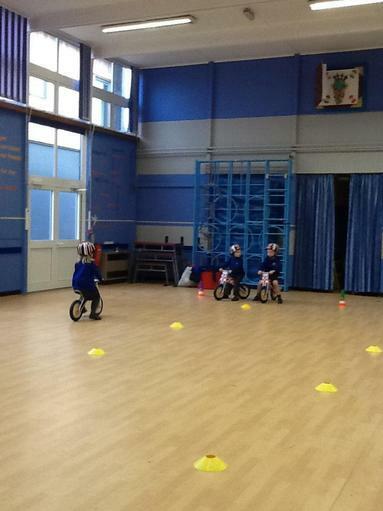 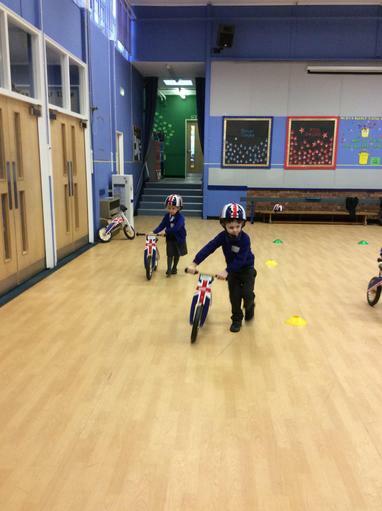 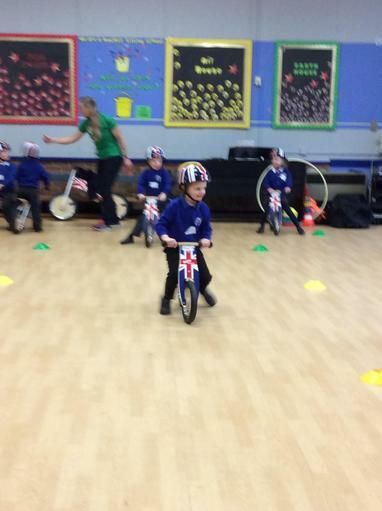 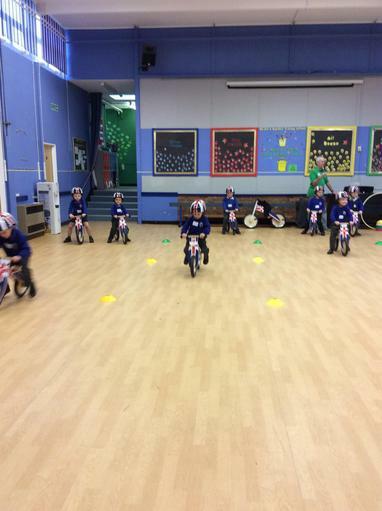 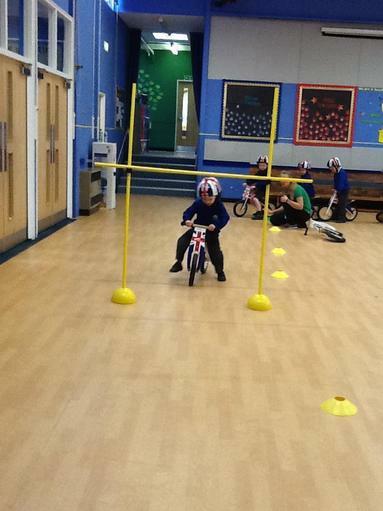 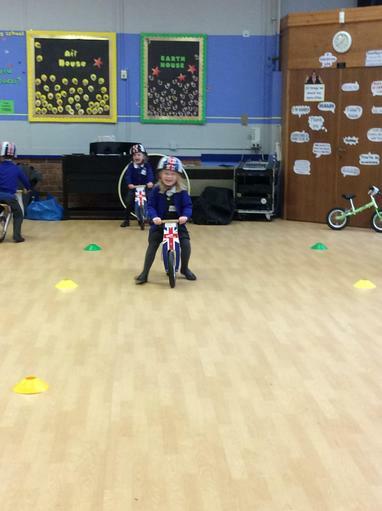 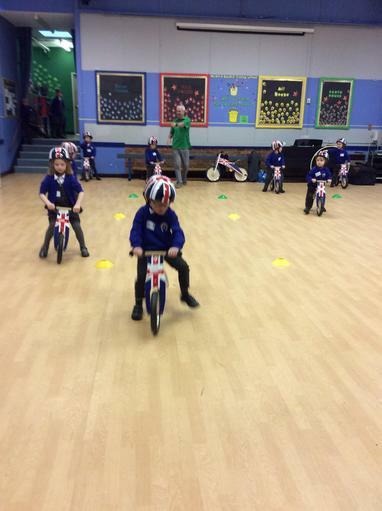 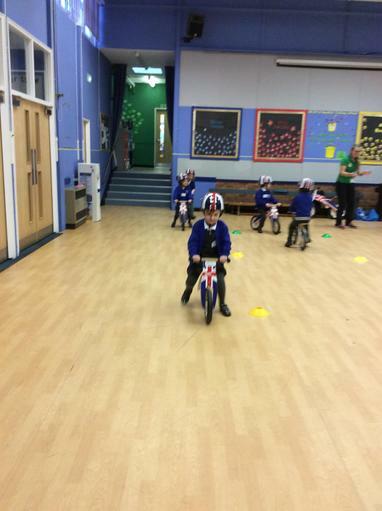 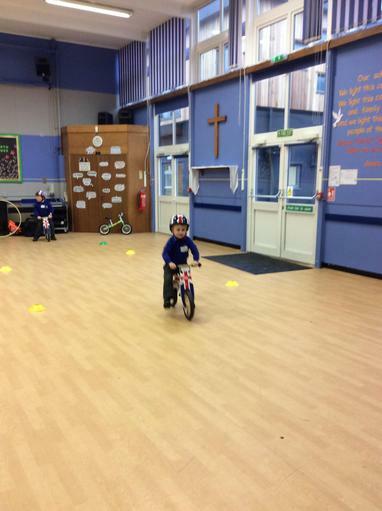 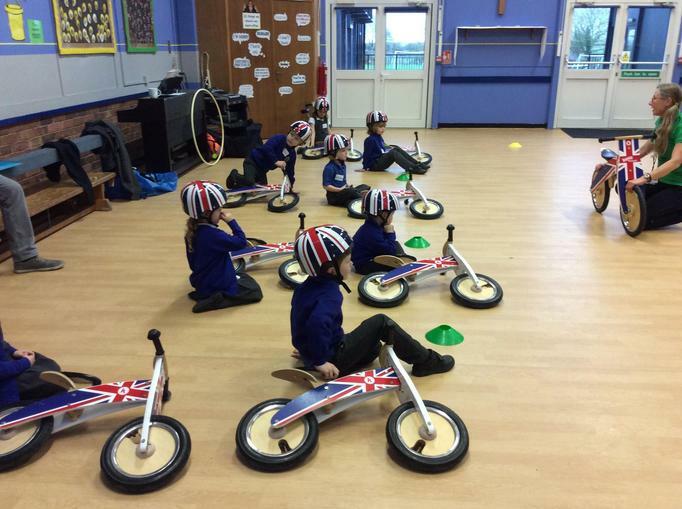 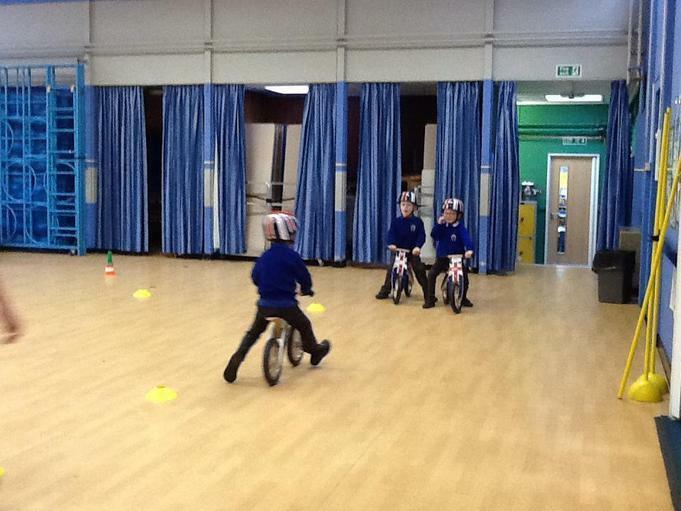 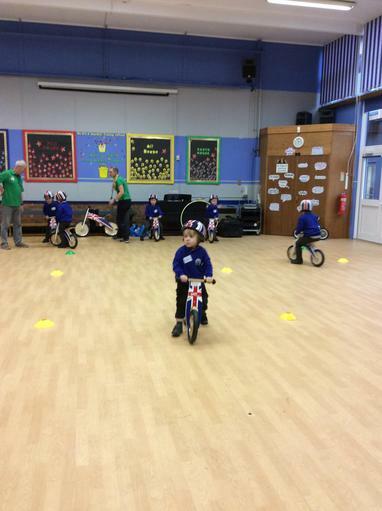 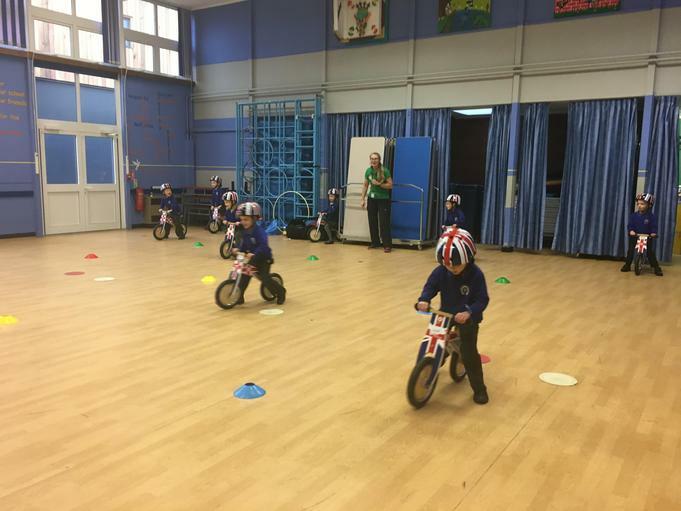 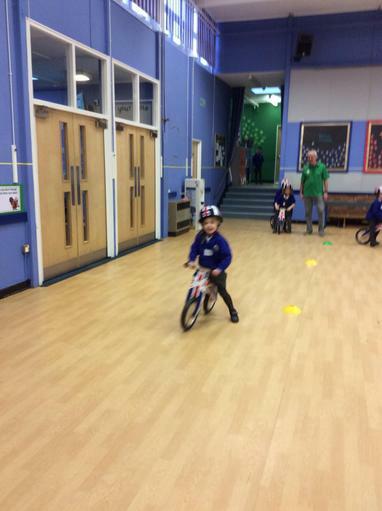 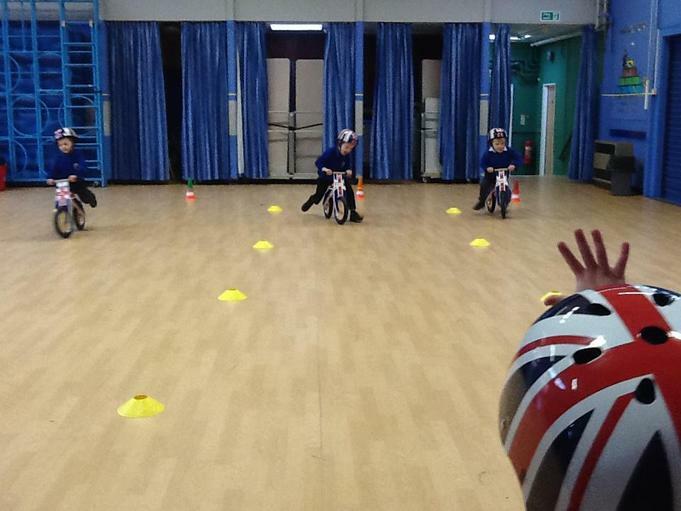 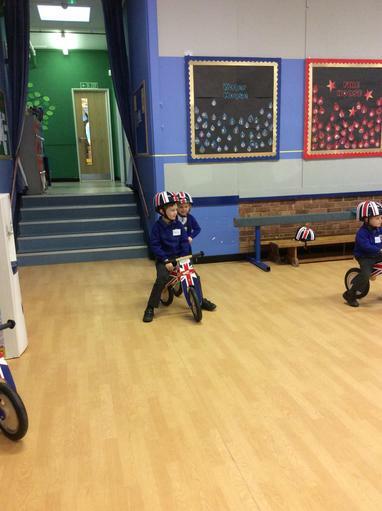 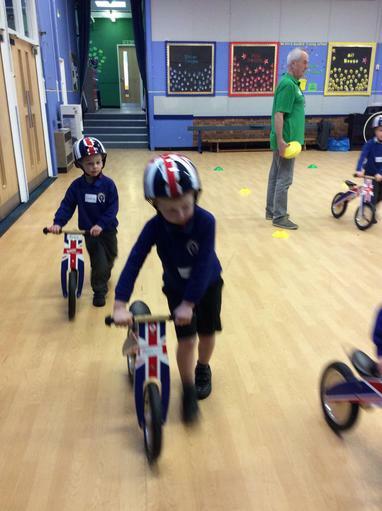 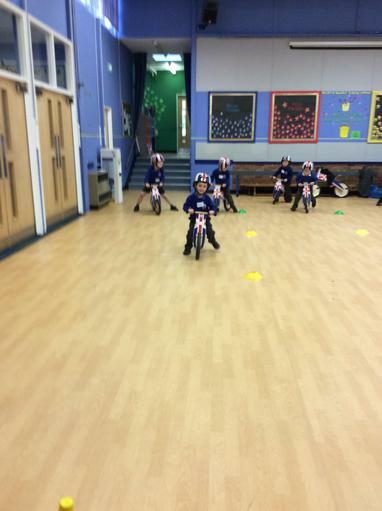 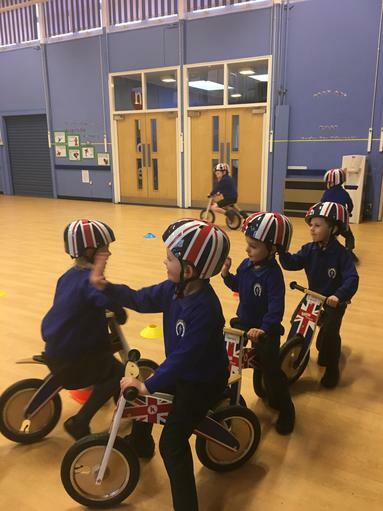 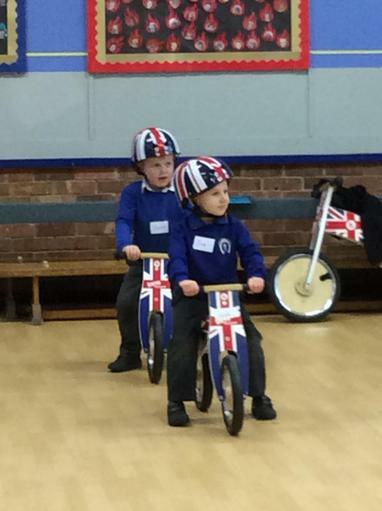 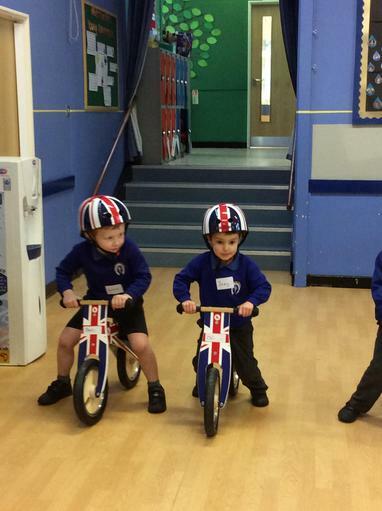 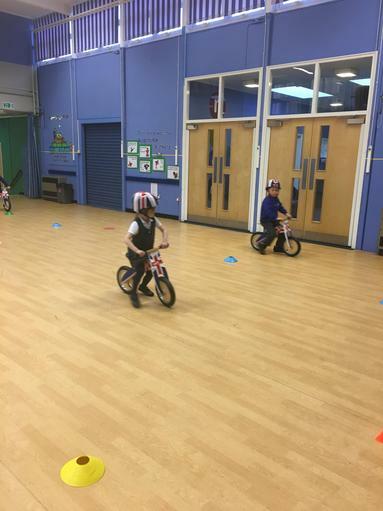 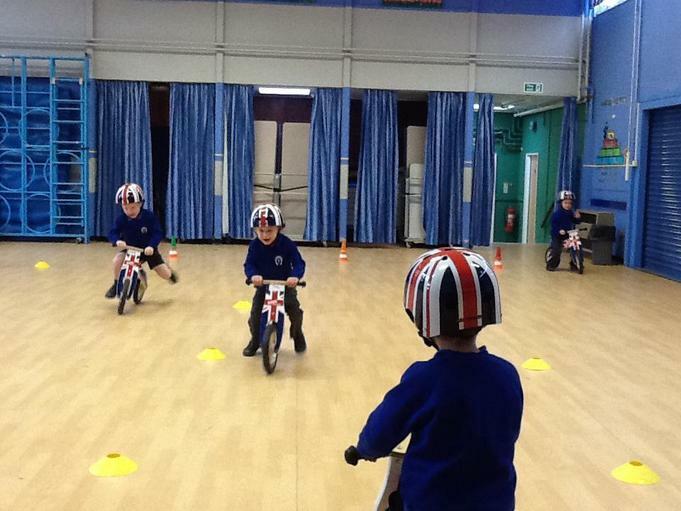 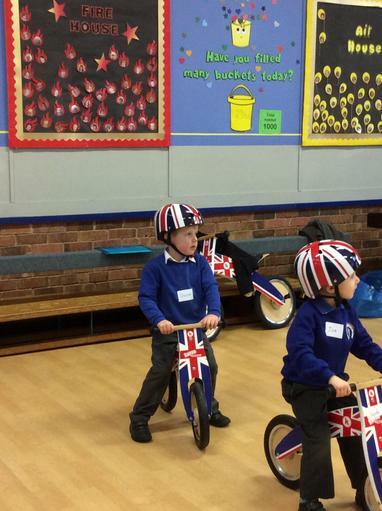 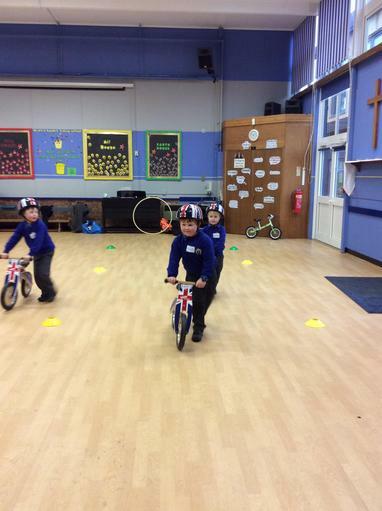 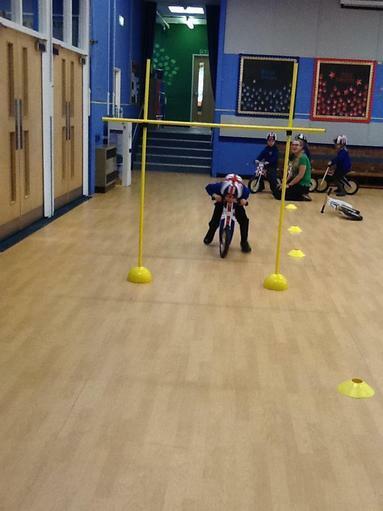 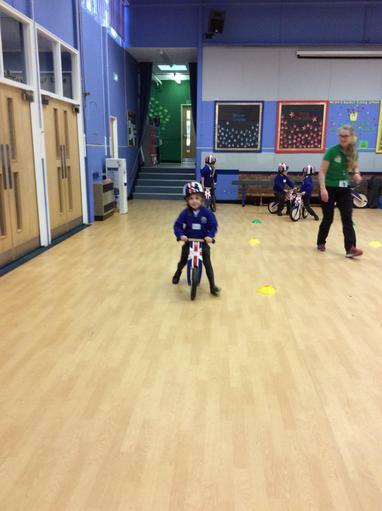 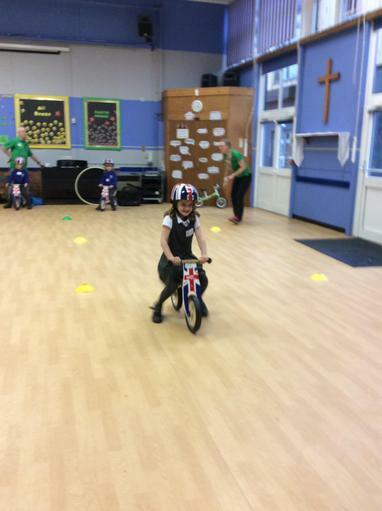 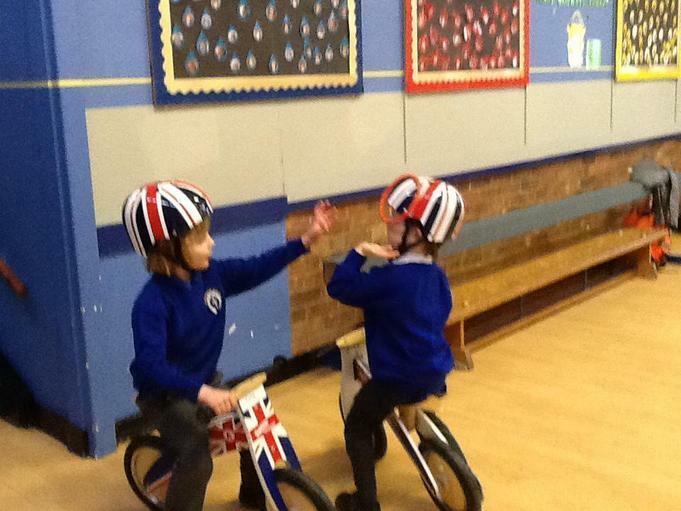 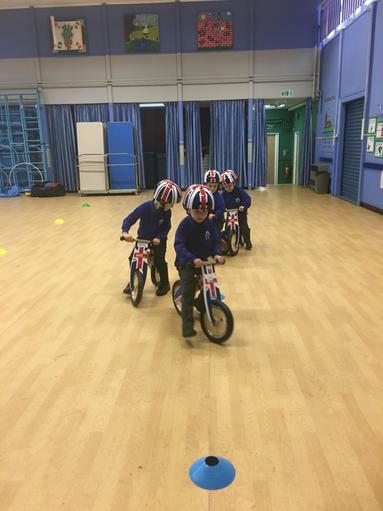 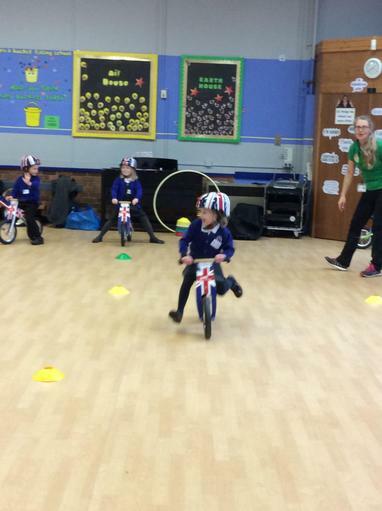 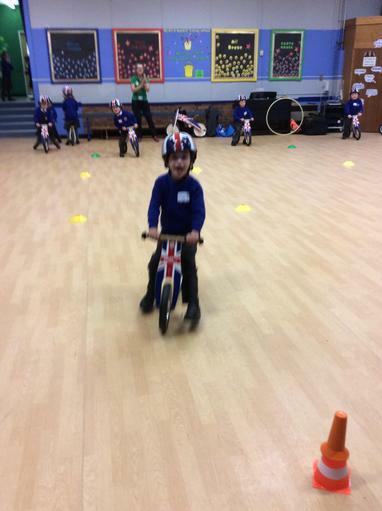 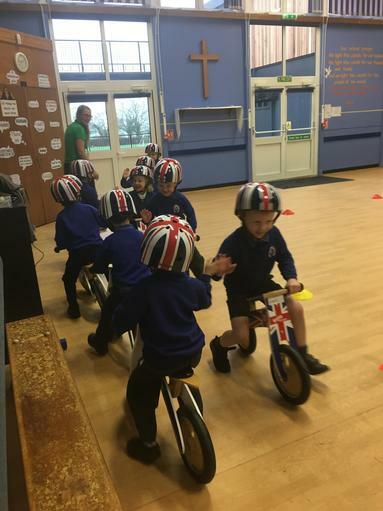 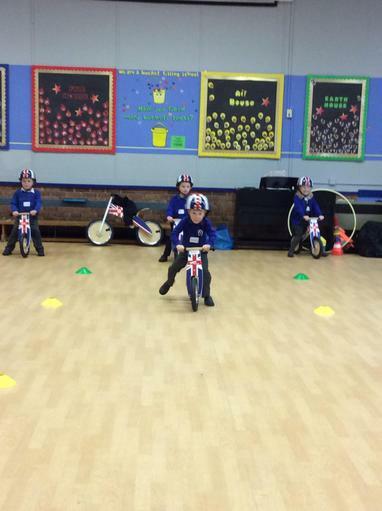 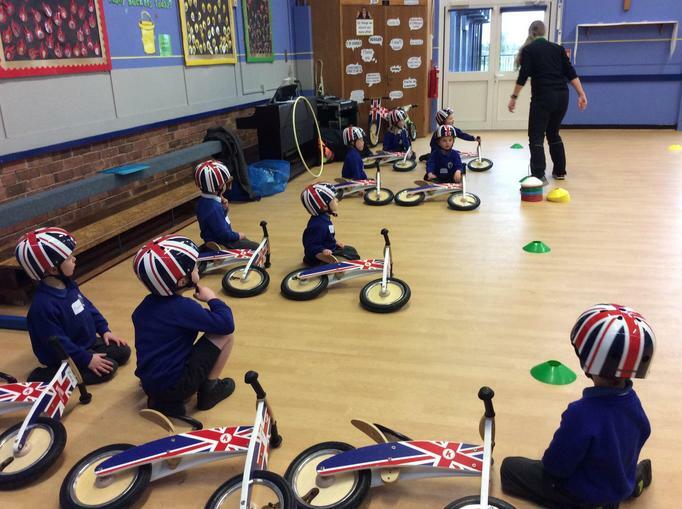 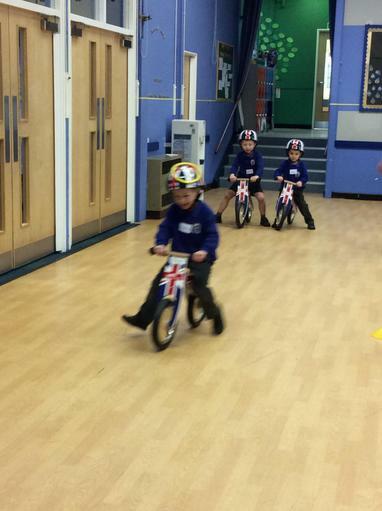 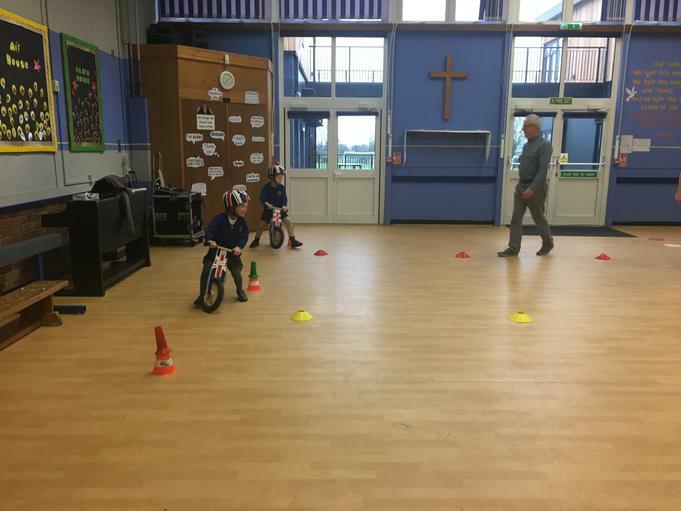 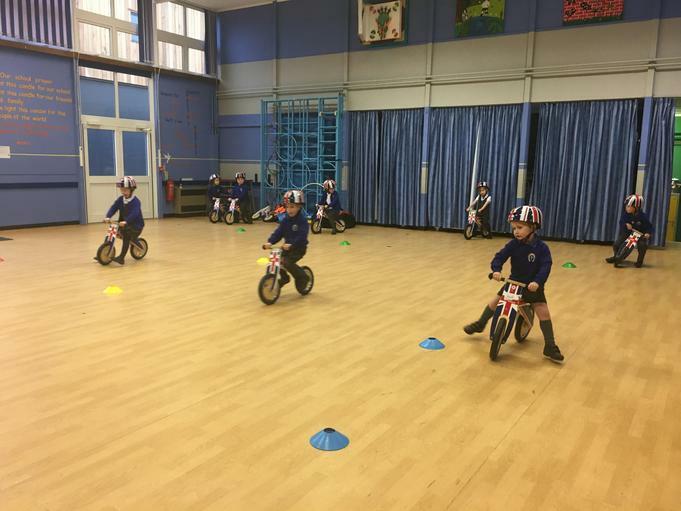 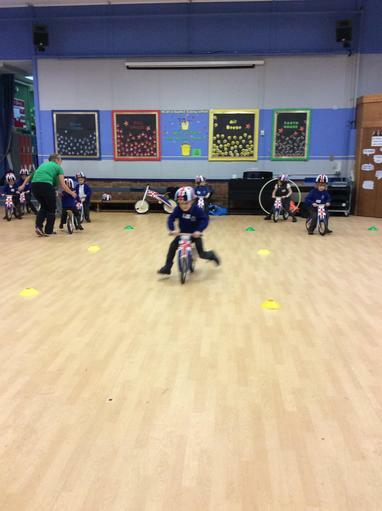 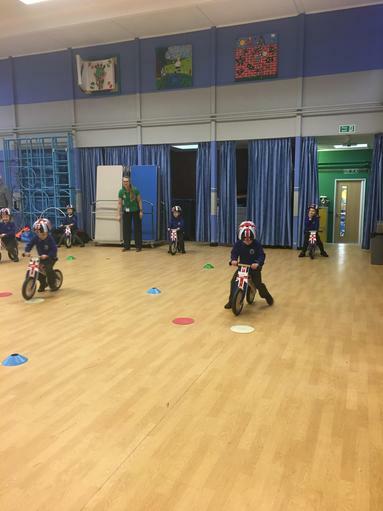 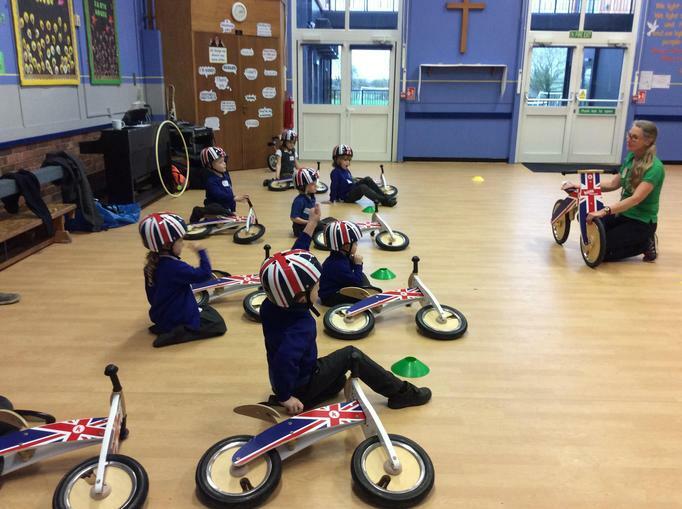 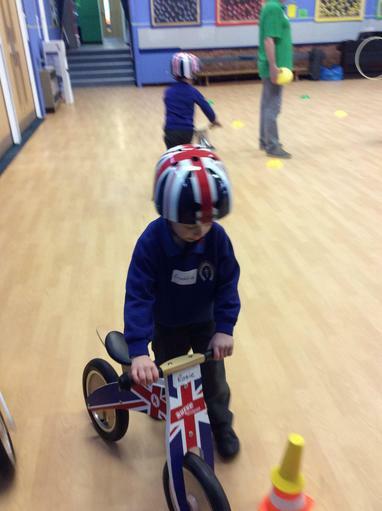 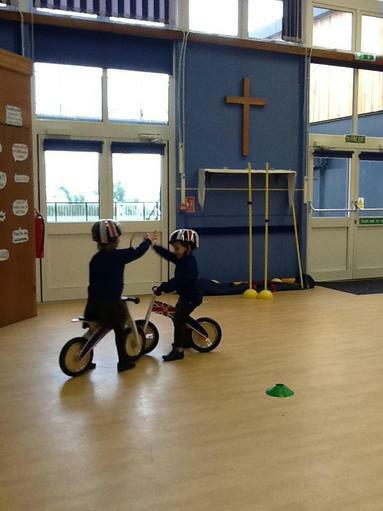 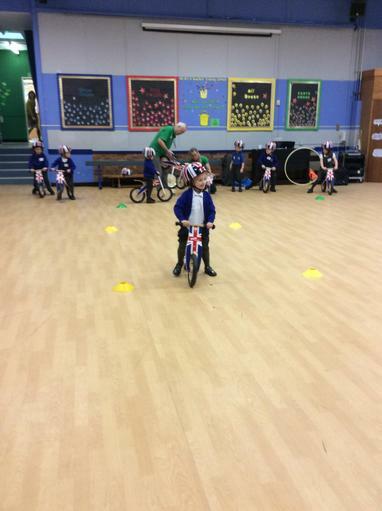 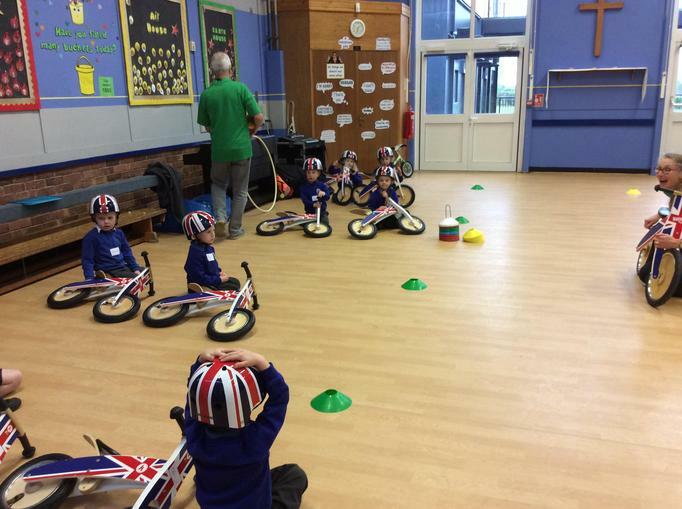 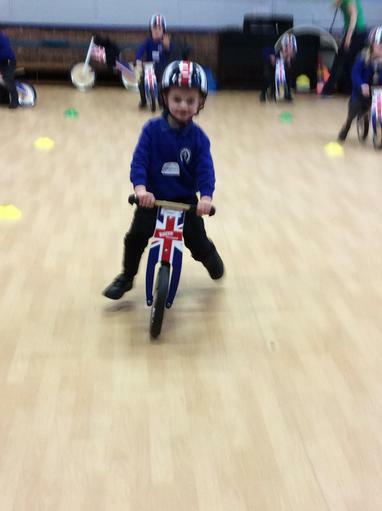 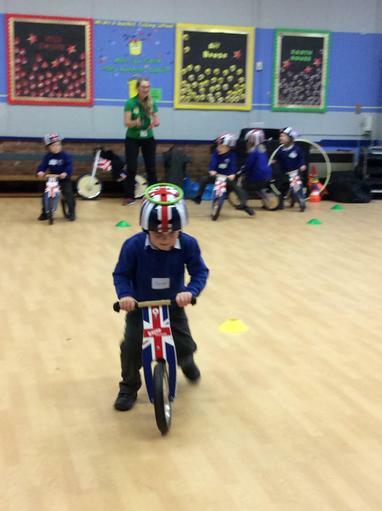 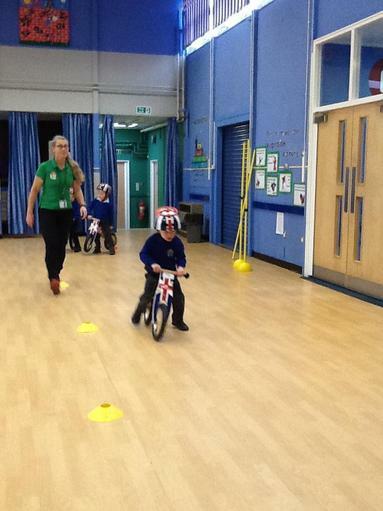 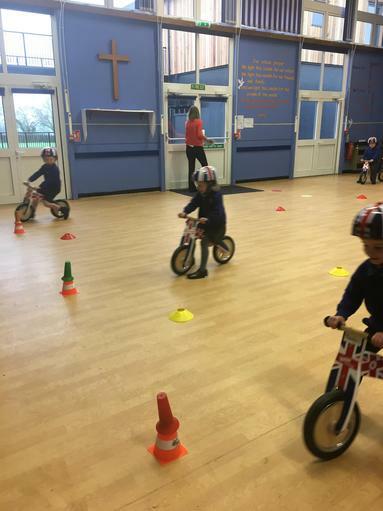 The children have been focusing on the fundamentals of balance, core stability, gross and fine motor skills and confidence to enable them to ride a bike. 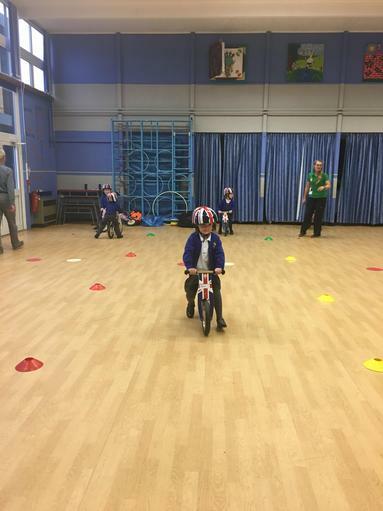 They are learning how to pick up, manoeuvre, mount and dismount a bike safely with a big focus on gliding, stopping and braking skills. 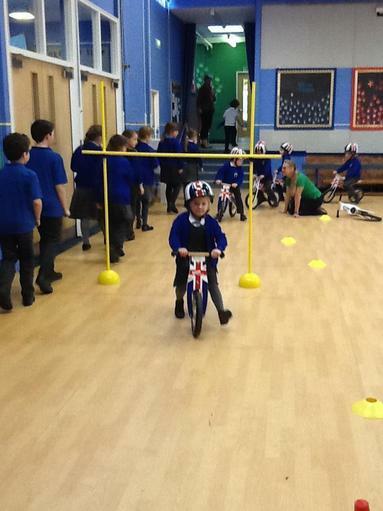 Great responsibility and resilience team! 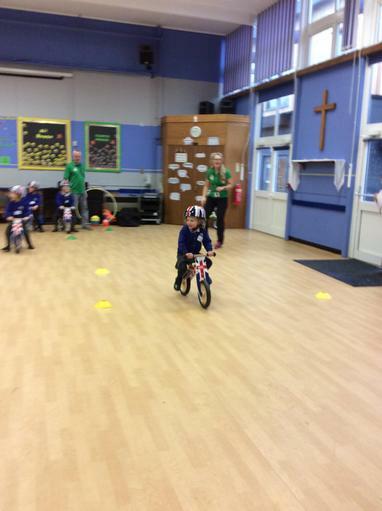 Check out the pictures - they are all having a fabulous time!